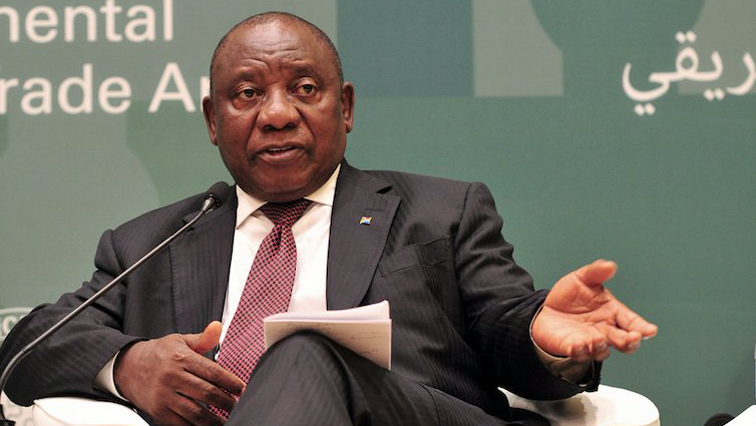 South Africa to benefit from AfCFTA: Ramaphosa - SABC News - Breaking news, special reports, world, business, sport coverage of all South African current events. Africa's news leader. Ramaphosa joined over twenty African leaders to endorse the continental free trade agreement. The African Union Commissioner for Trade and Industry, Albert Muchanga, says although some countries have reservations on signing the African Continental Free Trade Area agreement (AfCFTA), another summit will be held in Mauritania in July – where those countries can make their choice. Leaders from 44 African countries on Wednesday signed the deal in Rwanda – an agreement which will create one of the world’s biggest trade blocs. South Africa is one of the countries that have signed the declaration on establishing a free trade region in Africa. President Cyril Ramaphosa says the Free trade Agreement agreement will present major trade and investment opportunities for African countries. Ramaphosa has described the signing of the much vaunted continental trade treaty as historic and monumental achievement for intra-African trade. According to estimates, the AfCFTA treaty is meant to bring together fifty-five African countries with a combined population of more than one billion people and a combined gross domestic product of more than 3.4 trillion US dollars. This entry was posted on 21 Mar 2018,09:43PM at 9:43 PM and is filed under Business, News, Homepage Featured Story Slider. You can follow any responses to this entry through the RSS 2.0 feed. Both comments and pings are currently closed.